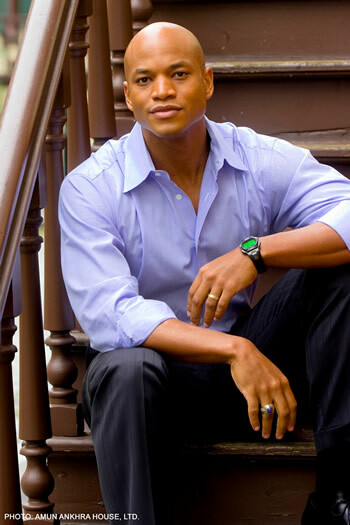 NSU welcomed Army officer, Rhodes Scholar, White House Fellow, best-selling author, youth advocate, and business leader Wes Moore as the first guest of the 2013-2014 Distinguished Speakers Series. Moore served as keynote speaker at Nova Southeastern University's 2013 Convocation ceremony, an annual gathering of the campus community to mark the beginning of the undergraduate academic year. Raised in a single-parent household in Baltimore, Moore was drawn toward trouble as a child, enough so that his mother eventually enrolled him in a Pennsylvania military school. This single choice effectively changed the course of Moore's life. He addressed this issue of choice in his keynote talk, as he does in the First-Year Reading Program book selection, The Other Wes Moore. Moore presents a compelling argument about support systems-dedicated networks of families, mentors, teachers, friends, colleagues-that have the most profound and lasting impact on one's life. He draws on his experiences as a leader in the military, in business, as a White House Fellow, and in helping large corporations become more involved in their communities. Moore stresses the vitality of leadership in every community. Moore graduated Phi Theta Kappa as a commissioned officer from Valley Forge Military College in 1998 and Phi Beta Kappa from Johns Hopkins University in 2001 with a bachelor's degree in international relations. At Johns Hopkins, he was honored by the Maryland College Football Hall of Fame. He earned a Master of Letters (MLitt) degree in international relations from Oxford University as a Rhodes Scholar in 2004. Moore was a paratrooper and Captain in the United States Army, serving a combat tour of duty in Afghanistan with the elite 1st Brigade of the 82nd Airborne Division in 2005-2006. He spearheaded the American strategic support plan for the Afghan Reconciliation Program that unites former insurgents with the new Afghan Government. A White House Fellow from 2006 to 2007, Moore served as a Special Assistant to Secretary of State Condoleezza Rice. Following his time at the White House, he became an investment professional in New York at Citigroup, focusing on global technology, where he left as a Vice President. In 2009, he was selected as an Asia Society Fellow and was named one of Crain's New York Business' 40 Under 40 Rising Stars. As part of the college mission to prepare students for rich professional careers and active citizenship, the college frames co-curricular programs and experiences around a broad annual theme that unites our community in interdisciplinary exploration. The academic theme for the 2013-2014 school year is "Good and Evil." Moore was the first of the distinguished speakers for the year to address this theme.